February 20, 1989 was one of my mom’s happiest days—the day her first grandchildren were born. She had endured the saddest year, grieving my dad’s death just one year earlier, March 1988. The arrival of twin grandsons lifted her spirits and truly changed her outlook. She was forever enamored with them. She had a new purpose—helping my sister and obsessing over these two, most adorable boys, Jordan and Aaron. When I get sad thinking about how she did not get the chance to know my children and they were jipped out of having her in their lives, I picture her with Jordan and Aaron. 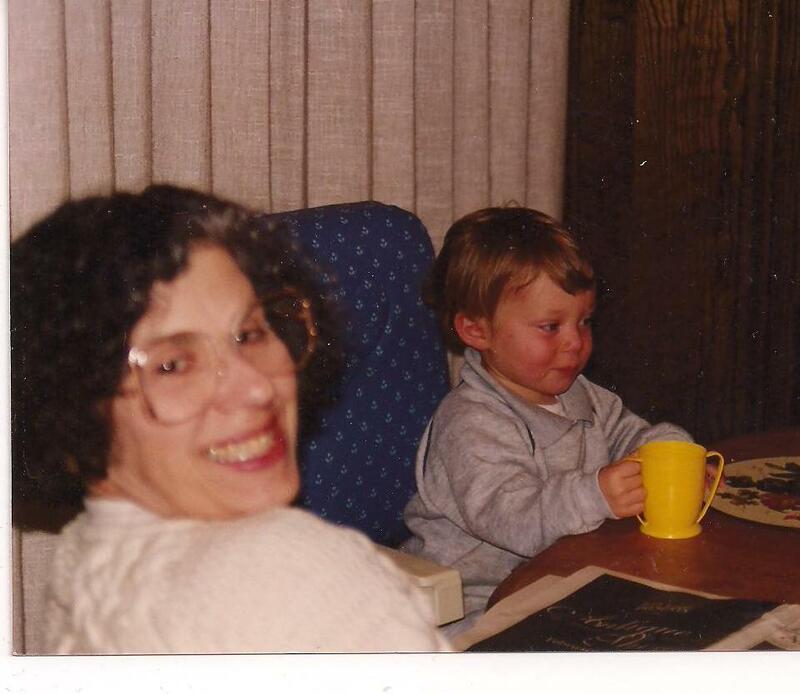 My mom’s bleakest year became her brightest. The announcement of my sister’s pregnancy, the discovery she was carrying twins and even her subsequent bedrest, relieved my mom’s malaise and gave her a new purpose. Sure, she was worried about my sister for 9 months, but that was healthy and therapeutic. Their birth gave her new, awesome grandmotherly duties! She loved these boys so much that she even shed her dog anxiety and warmed up to their Border Collie, Kiwi. I was shocked and thrilled to see her invite my two-year old nephews to bring Kiwi over for a playdate. She helped my sister and entertained Jordan and Aaron even during her chemo. Playing with her grandsons provided more good therapy than any drug she received. When my children ask about her and when I find myself telling them stories about her, I really do feel a sense of gratitude that I got to see my mom become a grandmother. I know that she was and would have continued to be a great grandma! Five very short years later, just ten days before my nephews’ 5th birthday, my mom died. Our happiest month, February, became bittersweet and very sad. I was sad that my nephews’ birthday celebration had to be postponed as if that really mattered at the time. In accordance with their nature then and now, they adapted and coped. They did not complain about the long New Jersey stay. Some five-year olds would not have been able to understand. Fortunately, they were probably just young enough to not have their birthday forever marred by our grief. 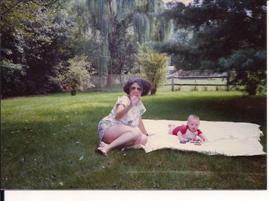 This year, I did not write a post on my family’s funereal February 10th, the anniversary of my mom’s death. I find solace writing about her any day of the year, but certainly prefer this day over Feb. 10th. On this day and during this month, I accept the two necessary parts of life—death and birth, bitter and sweet. And, I am thankful for my sweet sister and the joy she and my brother-in-law brought to my mom’s and my life. Happy, Happy Birthday Aaron and Jordan!